There’s a difference between working in a clean and hygienic environment versus a dirty and messy one. It affects the motivation, productivity, and overall well-being of a worker. Therefore, it’s the responsibility of any business to provide a healthy and clean work environment for their workers. A clean and pleasant workplace can do wonders in improving a worker’s health and state of mind. Productivity goes up, workers are happier, and operations become more efficient. All these can be achieved by simply providing a clean and sanitary work environment. Give your workplace the boost it needs by hiring professionals to keep your facilities spotless. 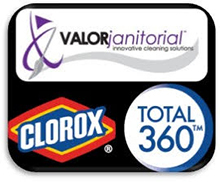 Valor Janitorial’s vast experience in commercial cleaning makes us one of the best in the industry. With teams of professionally trained cleaners, Valor Janitorial delivers superior cleaning services including commercial floor and carpet cleaning. Valor Janitorial is specially equipped to clean large commercial establishments and commercial campuses located in Westlake, Texas. Our teams of cleaners are also specially trained to work in special facilities like schools, medical facilities, and factories. Our commercial cleaning services include floor cleaning and polishing and commercial carpet cleaning. While it’s especially hard to maintain floor surfaces, it’s no problem for our team of professional cleaners. Environmentally conscious businesses in Westlake, Texas may avail of our new Green Cleaning services. Our new processes include green cleaning products that are not harmful to the environment and people inside the workplace. Westlake, Texas business owners and property managers, please contact us 214-238-9550 for a free estimate. We look forward to serving you! Westlake, TX is a well-to-do suburb of Fort Worth with just over 700 residents. In 2011, Forbes named the town as the most affluent community in the entire country. As part of the Dallas Forth Worth Metroplex, the town is also home to a number of prominent businesses such as CoreLogic, TD Auto Finance, and Fidelity Investments. These businesses are located at a massive commercial campus called Solana that has 14 buildings covering an estimated 900 acres of land.